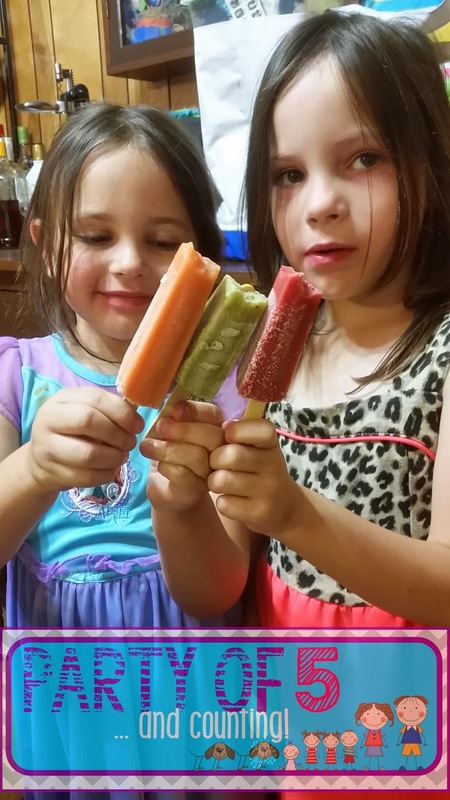 My girls love to have dessert after dinner every.single.night. 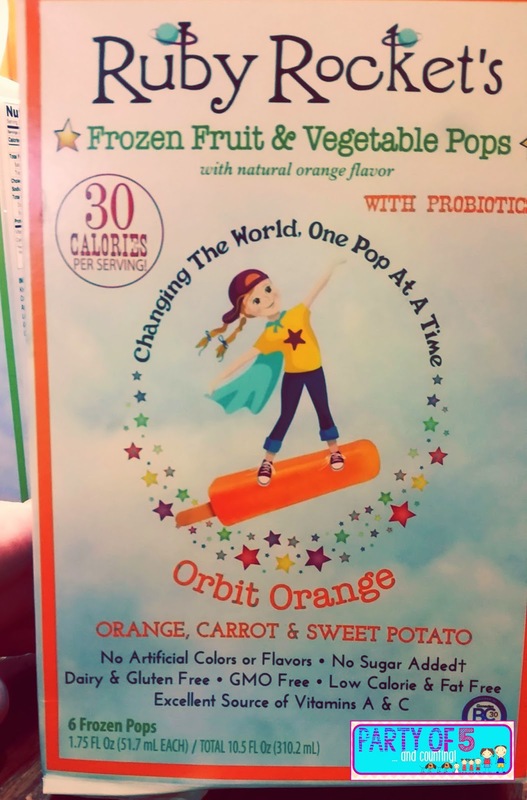 I hate that they are always asking for ice pops and ice cream. 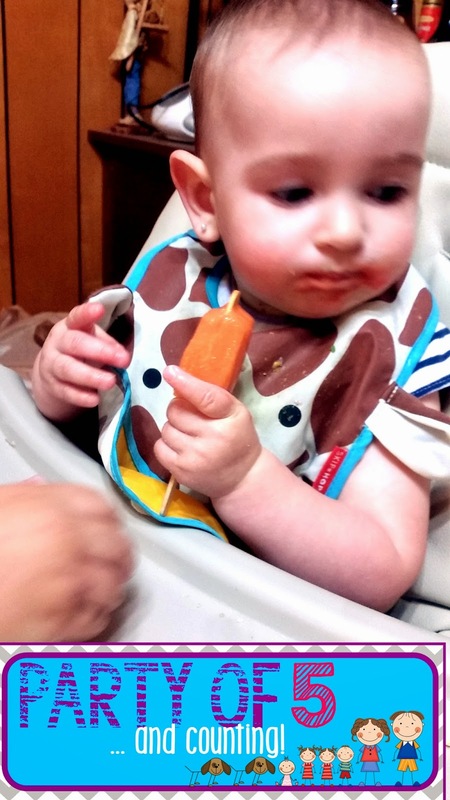 We were sent Ruby Rockets to test out with the family. 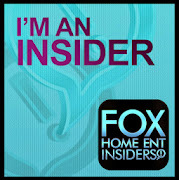 I was watching TV one day and a doctor was on a talk show making a green drink. The host called it “a glass of fresh” and it sounded so good I decided to try it every morning for a week. I was on a mission to eat healthier. But my eight-year-old Ruby insisted. These were the girls favorite. 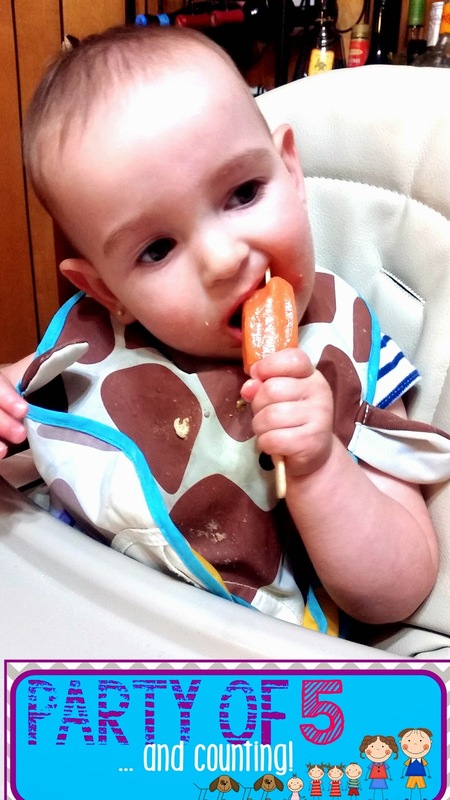 With strawberry, sweet potato, carrot and beet these Rock-It Red pops are sure to be the hit of your house. 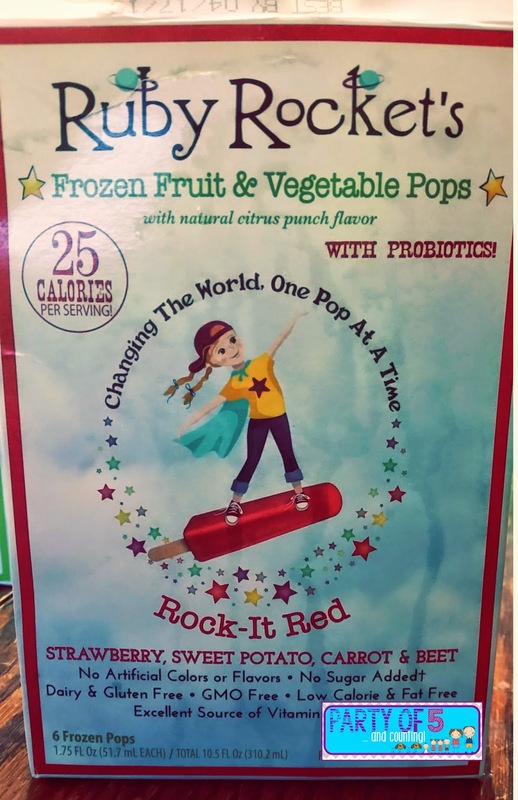 All of Ruby Rocket's pops are Dairy and Gluten Free, GMO Free, contain NO artificial colors or flavors, have no added sugar Sugars derived from fruit & vegetable ingredients only, and are and excellent source of Vitamins A & C.
This is a dessert I feel good about giving my kids. While we don't live a strict lifestyle I do try to limit the amount of junk they put in their bodies. 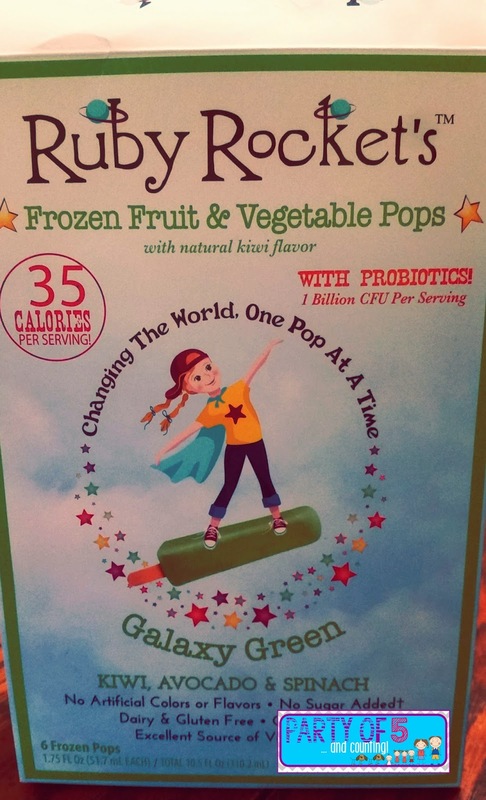 Another thing that I really like about Ruby Rockets is they contain healthy probiotics!